Membership in the Woman's Club of Middletown is open to all women 18 years of age and over. We are nonpartisan and nondenominational. Join us as we "Volunteer...Work From The Heart". Daytime Meetings are held the first Thursday of each month, October through June, at Noon. Evening meetings are held the second Thursday of each month, October through June, at 7:30 P.M. Meetings are held in Harlan Hall at The Westminster Presbyterian Church, 94 Tindall Rd, Middletown, NJ. Five energetic and civic-minded women in Middletown Village met in 1956 and formed the Woman's Club of Middletown. 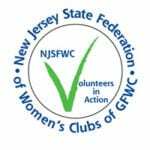 The objective of the club is to serve Middletown Township by encouraging friendship within our community, providing social services to the needy, encouraging beautification and conservation of our area, holding educational meetings, sharing talents, and developing leadership. Annually award Marion Andrews Educational Book Scholarship to a graduating Middletown North High School Senior. Conduct annual Holiday Gift Trees Project to benefit needy Middletown Township children. have a voice in policymaking.